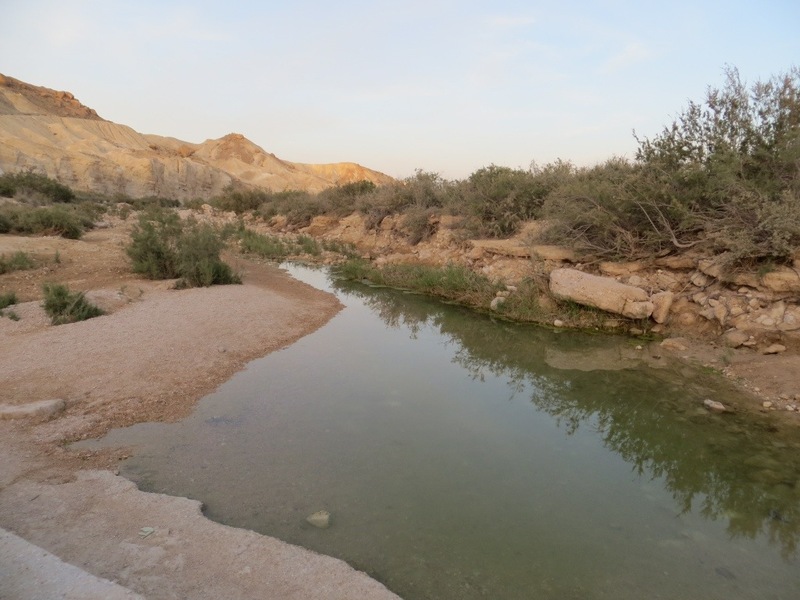 Deep in the Negev desert, we had hiked from the town of Sede Boquer near the Nabitean (the same culture that built world-famous Petra) ruins of Ave Ker and onto a high mesa, overelooking the town and the surrounding canyons. 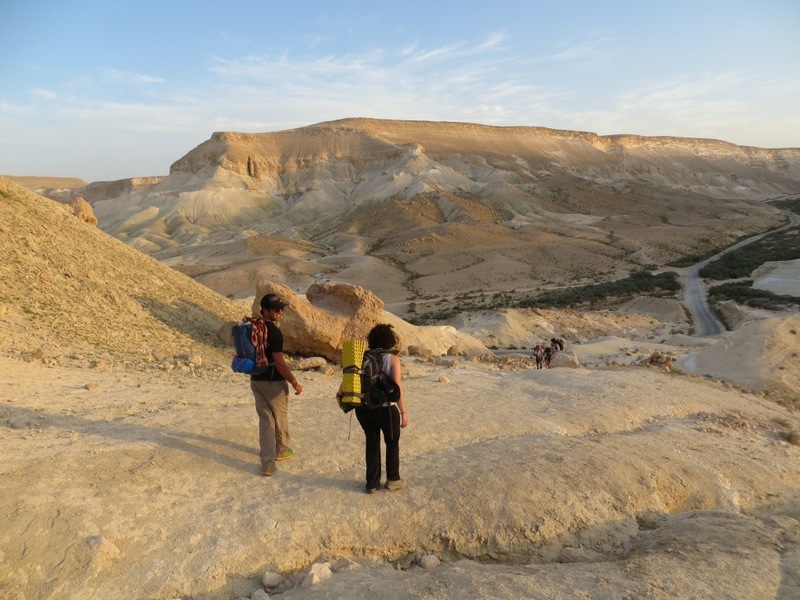 Arriving at the prime hour of dusk, our friend Nina, who is doing water research in the eco-oriented town of Sede Boquer in the middle of the desert, knew the family we were searching for, and luckily also spoke Hebrew and a little Arabic. Their tent compound was a mixture of pieces of wood and fencing, broken down vehicles, glass, tarps, tires, and garbage. It is technically a temporary settlement but this one looked like it wasn’t going anywhere soon. “Fifty Fifty,” Magdalene said in English with a thick Arabic accent, describing the day’s temperature. Large and clearly in charge the heavy set, friendly and brown-green eyed Bedouin mother we were having dinner with in the desert gleamed with kindness. Sitting across from her, Nina, David and I relaxed drinking sweet tea out of small glasses, the kind of which in our culture are the size of a double shot. Dinner ensued. Huge lafa-enormous thin bread very much like our tortillas in San Diego-lentils, falafel, olives, and tabouli made from the freshest of vegetables, mint, and coriander. We were being spoiled. The generosity of the Bedouin is the stuff of legend. The culture is to treat your visitor as you would a lifelong friend. I’ve traveled a bit in my day and have seldom felt so welcome in a home just after meeting a family. Tsiloman, the husband, lay on the mat across from us, rolling a cigarette. I took a cue from his relaxed state and leaned onto my backpack. Feeling quite full and extremely grateful, we said we had to get walking. 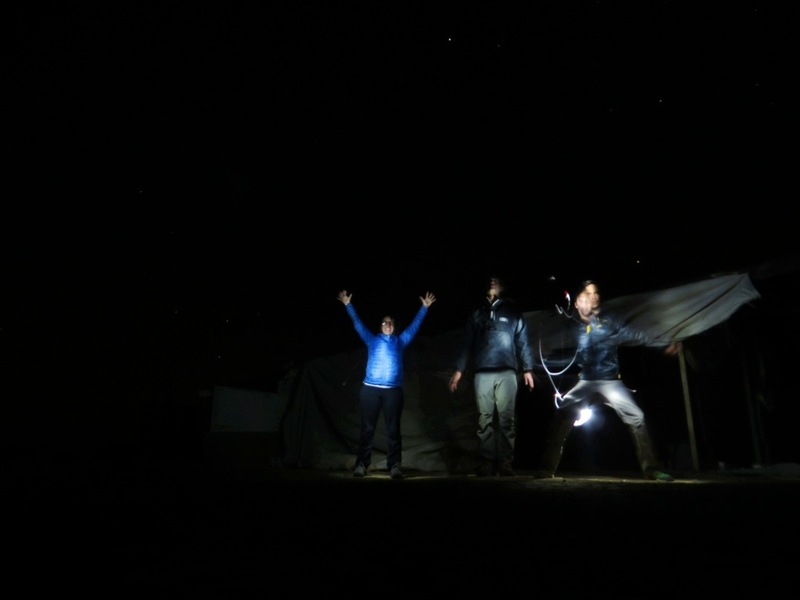 We had all packed headlamps to navigate by night. However, Magdalene implored us to stay, and we felt that we had better oblige. Those who have been to the deserts of the world know that at night, the stillness, quiet and clarity of the stars is spectacular. Like a bucket of glinting jewels thrown across a black cloaked sky, we lay just outside of the shelter admiring and soaking in their sheer abundance. When in Rome, do as the Romans do. 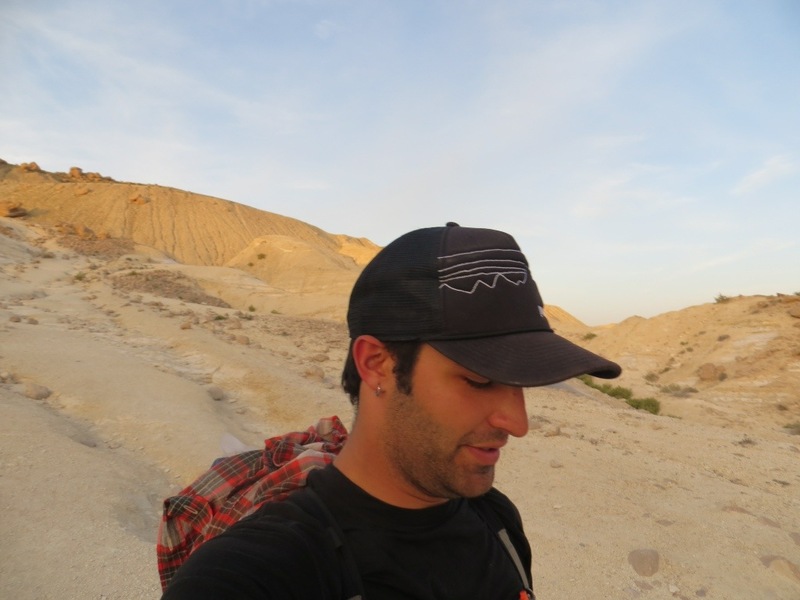 Well there we were doing as the Bedouins do, just as Tsiloman, soaking in the barren beauty of the Negev. The next morning we awoke at dawn and watched the sunrise from our sleeping bags. Without even thinking about it the night before, we had placed our feet facing east so we didn’t even have to move an inch, a lucky coincidence perhaps. After some morning sweet tea, we caught a ride into town with him in his rickety truck. 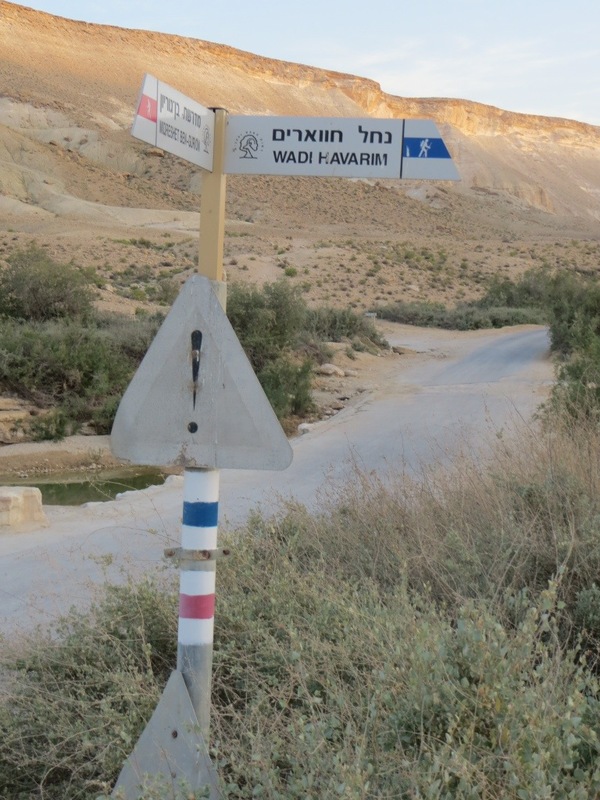 Navigating the windy roads, Tsiloman remarked in Arabic Hebrew something along the lines of, “I love waking up in the desert every morning.” We could feel the draw of the Negev as we headed back to civilization.